So, as you may remember (if you don’t I’ll let you off), myself and Kirsty went to Gaye Paree last month. 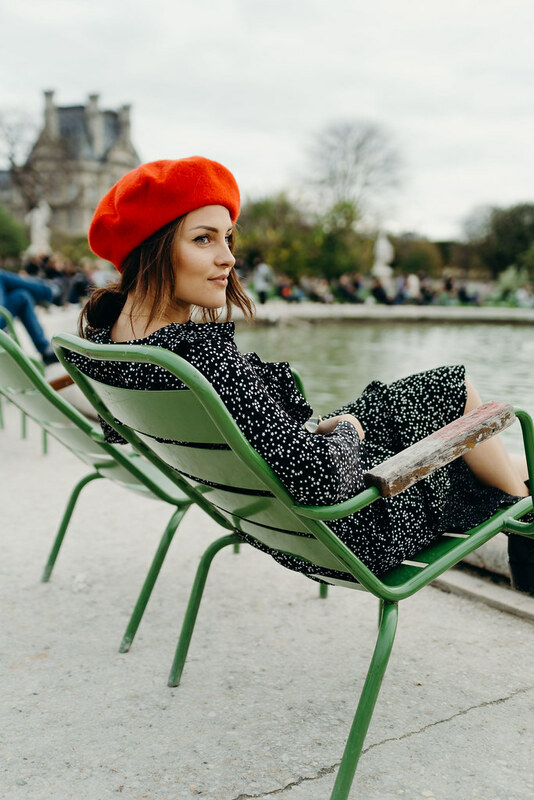 My plan was to put together one big blog post, kind of like this Guide to Paris I did many moons ago, but we shot so much content out there that I’ve decided to do a Week in Paris feature. That’s right, an entire week! 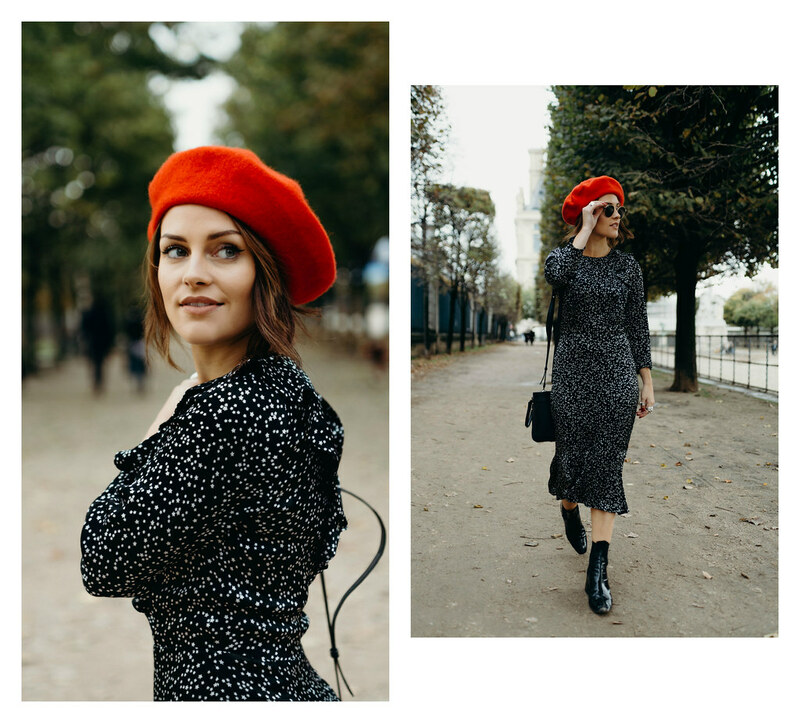 So you’ll get one outfit a day for the next five or six days and then at the end of it I’ve put together more of a lifestyle-y guide of what we got up to and where we stayed! 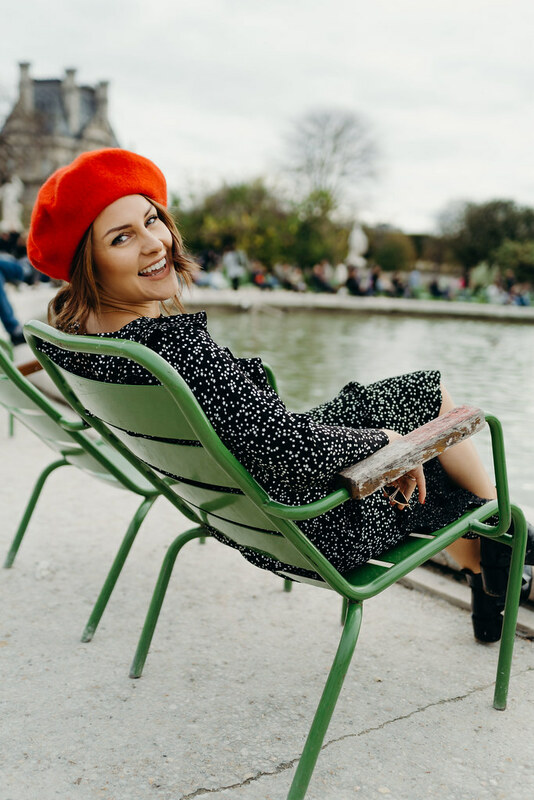 I decided to start with one of my favourites (they’re all my favourites, I don’t know why I bother using the f-word anymore) which we shot in the Tuileries Garden. I’ve been to Paris many a time, but I’ve never actually been to the Tuileries. Shame on me, I know. We’d had ourselves a little wander round The Louvre and had some time before we needed to get back so hopped on over to explore those gardens. And they’re beautiful! It was still mild enough to sit by the pond so we did that for a wee while and watched the world go by. I had on a star print midi from Monsoon – me and my amigo nipped in to look for a present for her Mam’s birthday and I spotted it out the corner of my eye and knew before I’d tried it on that it was love. And I was right! It’s a little bit of a different shape to your usual midi shape and reminds me of something Marilyn Monroe would have worn; strong shoulders, nipped in waist, flowy hem. It’s a flattering combo I tell you. I, however, did something I’m not sure Marylin would have done and paired it with some patent boots. We were doing a lot of walking and I was not about to wear some beautiful but unpractical shoes and buy myself a one way ticket into Blistertown. 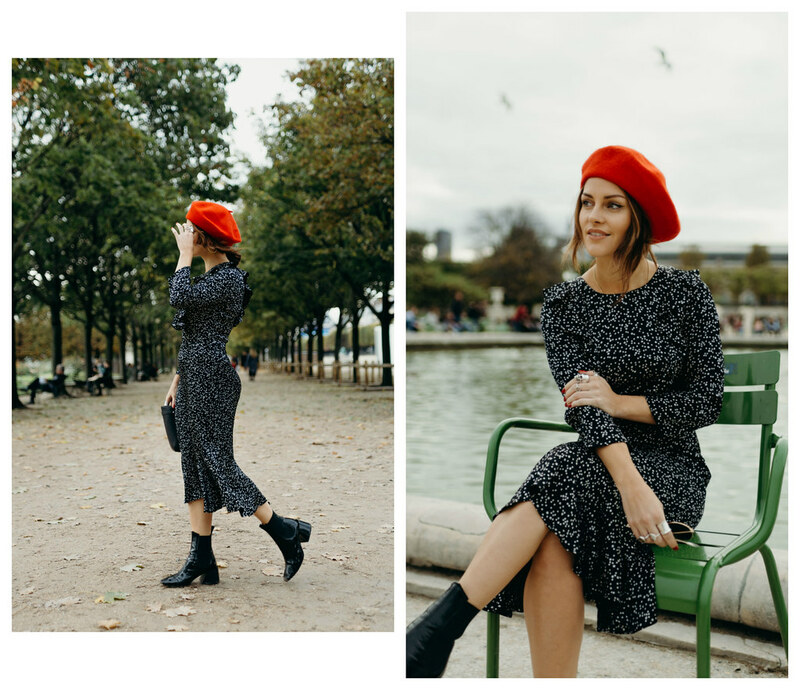 I paired it with a little red beret (when in Paris) and there we have it! Day one of my Week in Paris is complete. What else can i say rather than to thank Doctor Casera Zaza who God used to reunite my marriage. Each day of my life, i ask God to bless Dr. Casera Zaza for he has made my life complete by bringing back my wife to me and for this reason, i made a vow to my self that i will testify on the internet to let the world know that Dr. Casera Zaza is a God on Earth. My wife and i had a fight for three days which led to our divorce. On this faithful day, i came across a testimony of how Dr. Casera Zaza helped a lady in getting back her lover. So, i contacted him and explained to him and he told me that my days of sorrows are over that my husband will come back to me within 12 to 16 hours. Could you believe it, my wife came home begging that she needs me back and now we are living happily for the past 2 years now. Do you need any kind of help? Contact him now via: relationshipsolutionhome@hotmail.com or you can call me for more info on +1 (203) 702-9280 Tomas Kokyova. That dress is so pretty!! I love it. 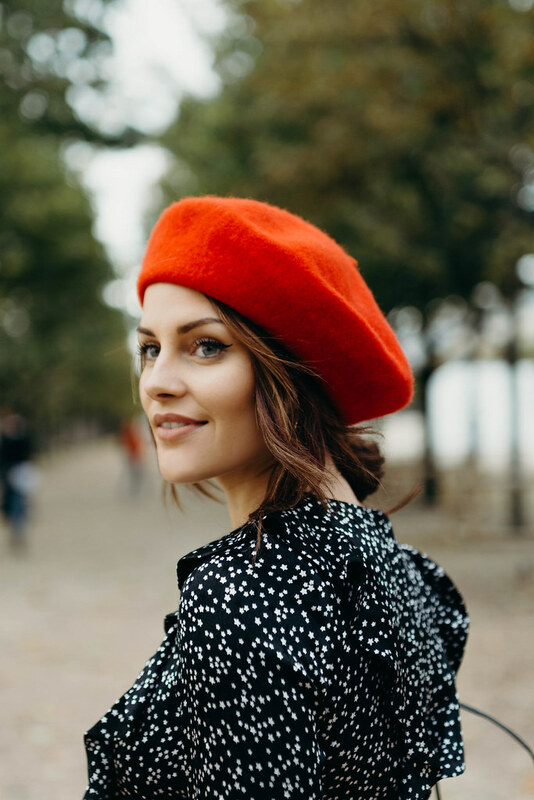 Love this Parisian chic outfit! 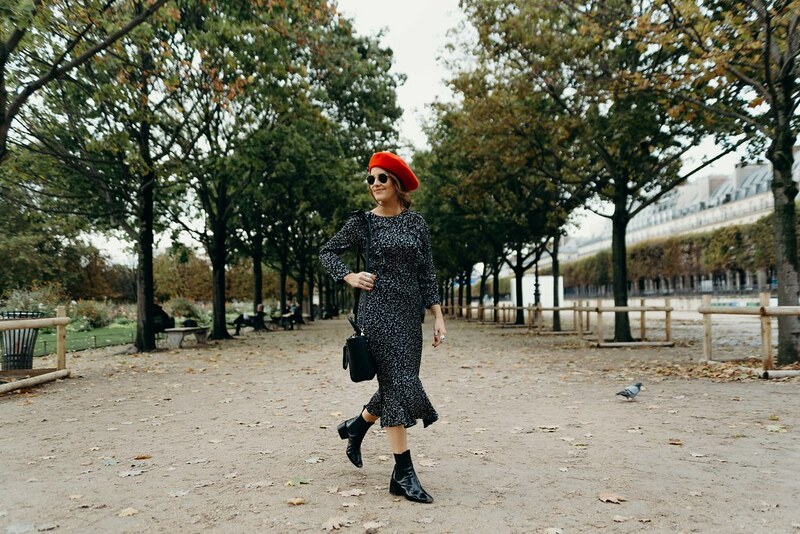 The dress and the beret are both so cute! Oh these photos are glorious, what a beauty you are! !